With all the news about this being the final Holiday Season of The Osborne Family Spectacle of Dancing Lights at Disney’s Hollywood Studios and rumors of Star Wars Land breaking ground in early 2016, I thought now would be a good chance to look at what Star Wars Land is going to bring to the Park. 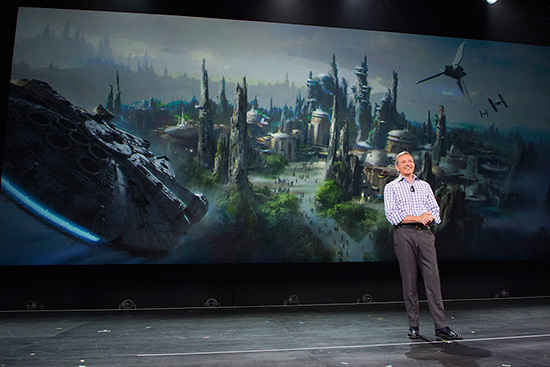 Last month at the D23 Expo, The Walt Disney Company Chairman and CEO Bob Iger was announced the 14 acre expansion coming to Walt Disney World. 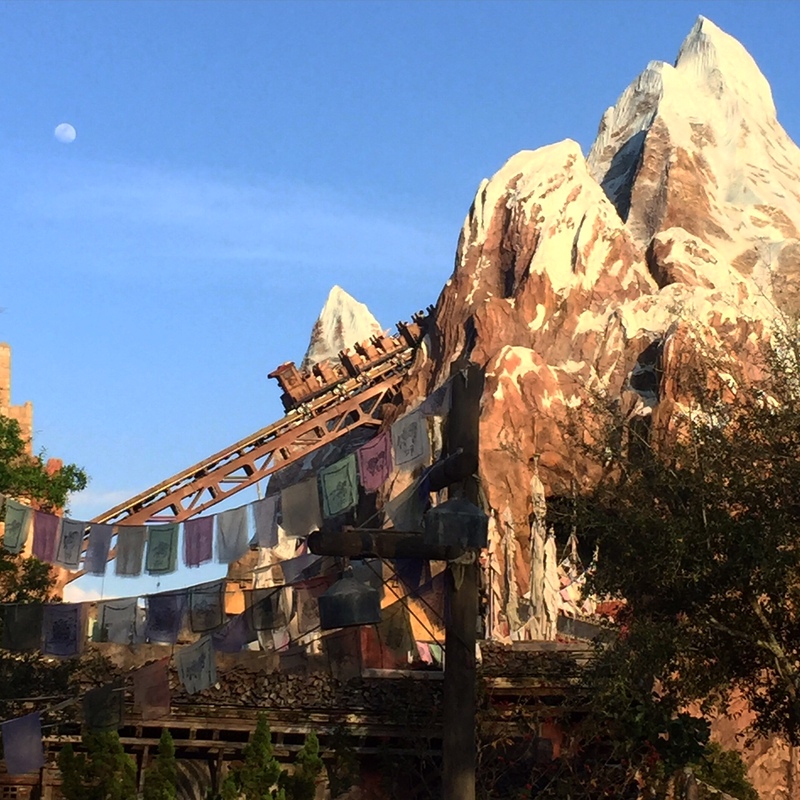 “We are creating a jaw-dropping new world that represents our largest single themed land expansion ever. 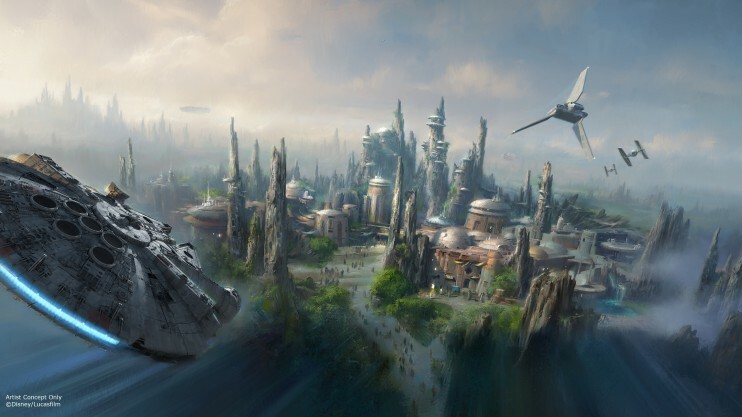 These new lands at Disneyland and Walt Disney World will transport guests to a whole new Star Wars planet, including an epic Star Wars adventure that puts you in the middle of a climactic battle between the First Order and the Resistance,” said Iger. 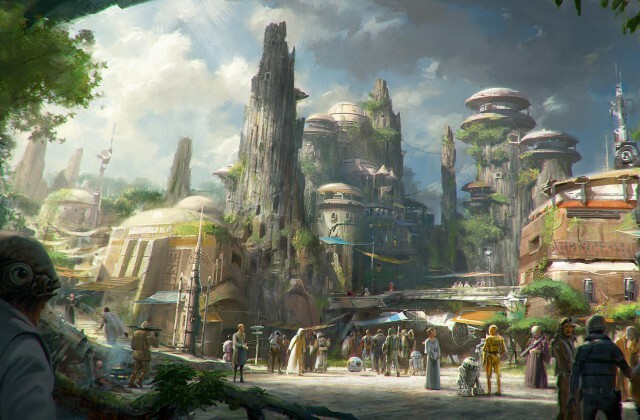 When you walk into Star Wars Land you will be walking into a whole new and never seen before gateway planet located in the Outer Rim that if filled with new and familiar characters and locations based on stories from a galaxy far, far away. The inhabitants of this last frontier will offer every guest an authentic and immersive experience where every single detail is in story. From the restaurants to the storefronts, each experience will be ‘out of this world’ and appeal to all of your senses…even smell. Star Wars Land will come to life on both coasts with updates to existing attractions and entertainment, new experiences and celebrations, but most importantly new attractions, restaurants, and shops. 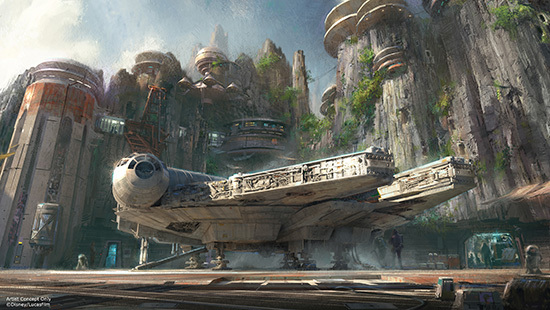 Star Tours: Later this year, the Star Tours attraction will receive an update that will include a new destination from Episode VII and encounters with new characters. Jedi Training Academy: Later this year, the Jedi Training Experience will be enhanced with new designs, characters, and a new story. 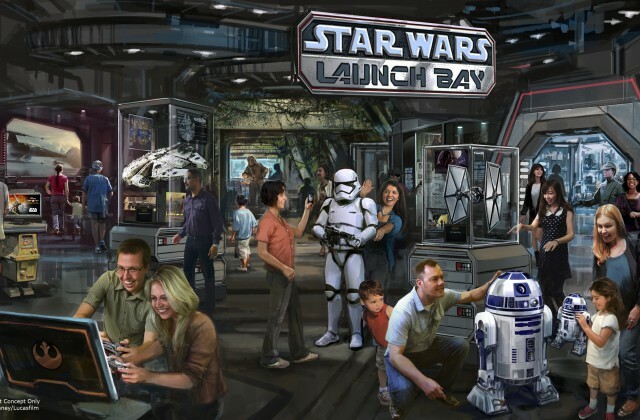 Star Wars Launch Bay: The Star Wars Launch Bay, currently under construction in the former Magic of Disney Animation, will be where guests can explore exhibits, interact with characters, view exclusive content, and even try the newest Star Wars games from Disney Interactive. Star Wars Season of the Force: Expanding on the successful Star Wars Weekends, this new Limited Time Season Event will be arriving in Early 2016 on both coasts with enhanced character experiences, special food and beverage options, limited merchandise events, and will conclude with an all new fireworks spectacular set to the epic John Williams score. Star Wars Land Entrance: We know that the entrance to Star Wars Land will include an experience that immerses you in land completely. Will it be entering through a forest? Or will you enter through a loading bay? Millennium Falcon Attraction: We know we will have the chance to fly a mission on the iconic Millennium Falcon where we find ourselves in the middle of an epic battle, and I can only guess that this will be a simulator experience similar to Star Tours. Cantina Experience: We know that a ‘Cantina Experience’ will be a part of the Star Wars Land Expansion, but will this be based on Mos Eisley Cantina or will we find a new Cantina for galactic libations? Star Wars Land Entertainment: We know that the new Star Wars Land will feature some great new entertainment, but will this be a ‘nightclub’ setting? Characters Roaming the Land? A new show? Star Wars Land Storefronts and Restaurants: We know that we will be able to experience new Star Wars Restaurants and Stores, but what will they sell? Will they take a special currency? Star Wars Land Inhabitants: We know that all of the inhabitants of this ‘last frontier gateway planet’ are welcoming us with open arms, but how will we communicate? Will they sport a new name badges like the ones you can purchase during Star Wars Weekends?